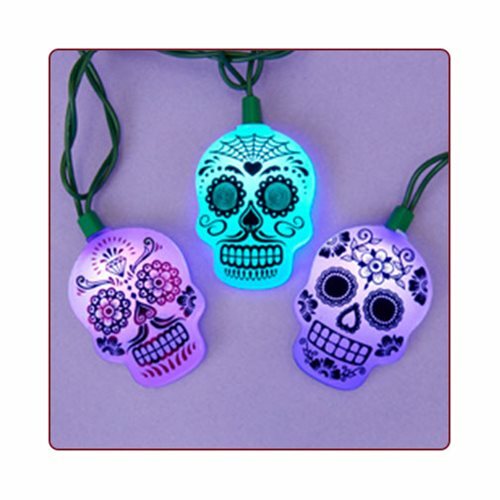 Add a splash of color to any Halloween or Day of the Dead party decor with this Day of the Dead Sugar Skull Color Changing Light Set! With 10x lights spaced 12-inches apart and a 30-inch lead wire, the strand measures approximately 12-feet long. The lights change colors between green, blue, purple, yellow, and red. For indoor and outdoor use.